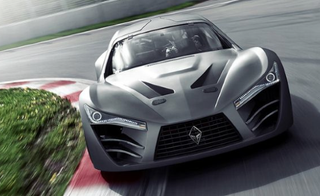 It's a new Canadian supercar called the Felino CB7. which is weird. but whatever. Apparently it has a V8 with 525 hp and all that good stuff . And the front looks pretty decent I guess, the LED running lights are a little long but otherwise it's not bad. HOLY JESUS MOSES WHAT IS THAT. That is the most miserable looking back end I've ever seen on any vehicle of any sorts. It's like a sad puppy that just watched its favorite squeaky toy get thrown in a bonfire made of doggie treats. It literally makes me tear up just looking at it. What is going on. Fix it, Canada. Its official, I like the 918 more than the P1.